Experience the explosive hit of Cellucor 50x! containing 50% more ingredients than normal c4, with added TeaCor and XCELICOR, the latest innovation in explosive energy you will experience a workout experience unlike any before! Buy Cellucor C4 50x Pre-workout from Fitness Market and save! With our efficient dispatching and quick delivery throughout Australia, Cellucor C4 50x Pre-workout can be yours sooner. 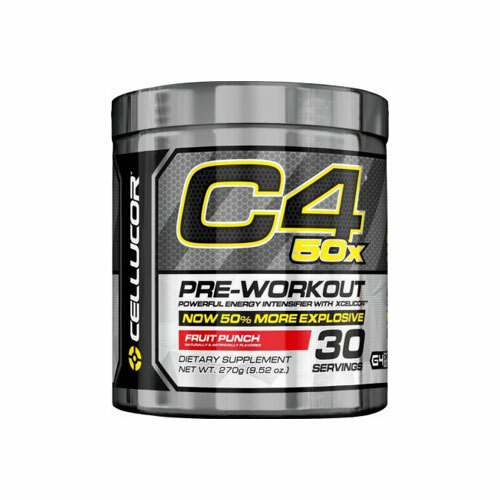 Below you can rate and add reviews for Cellucor C4 50x Pre-workout.